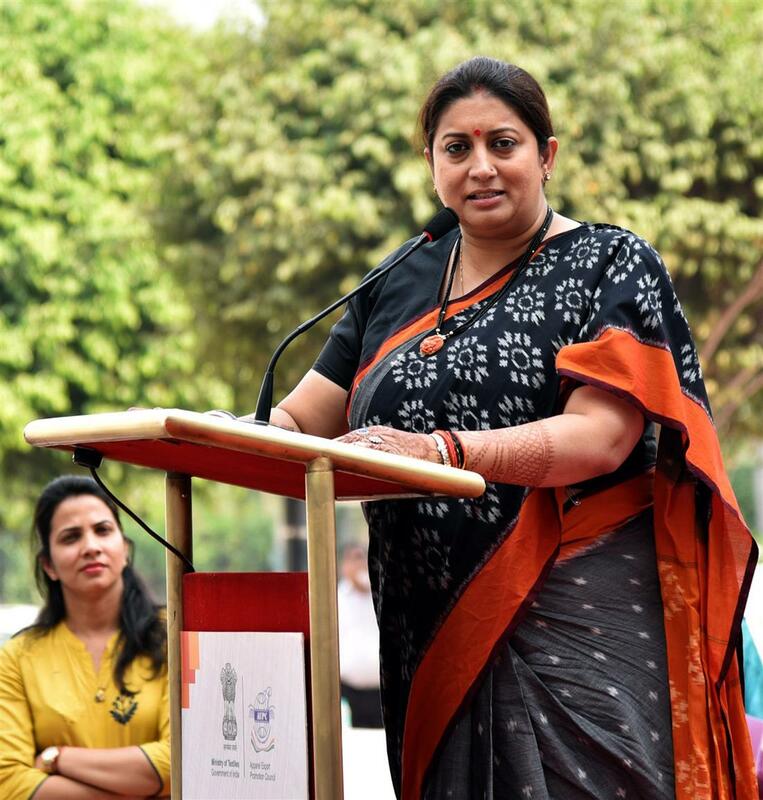 Textiles Minister Smriti Zubin Irani today unveiled the Fabric of Unity on the occasion of the 143rd birth anniversary of Sardar Vallabhbhai Patel in Gurugram in Haryana. She also flagged off the Unity March. Later, she administered the Unity Pledge to the office bearers, staff of Apparel Export Promotion Council - AEPC and students of Apparel Training and Design Centre - ATDC. The Minister exhorted the AEPC to spread the concept of fabric of unity in its offices saying it will be a real tribute to Sardar Vallabhbhai Patel. She urged the AEPC to put together the entire history and the textile designs of the then princely states which were united into the Indian Union by Sardar Patel.